Human factors therefore play a critical role, as long as the inspection process is not fully automated. But discussing the human factor is much easier than taking it into account when building a protection strategy, and this is increasingly an issue because – while everybody knows that humans can be the weakest link in the security chain, nobody has a realistic idea for improvement. Holography company Optaglio is taking the first step to solve this situation the recent establishment of a behaviour laboratory in Lochovice, Czech Republic, staffed mostly by external psychologists and other experts, to try to introduce some scientific rigour to the study of human factors in anti-counterfeiting. Motivation: How strong is the motivation to identify a fake? How much effort can one expect inspectors to spend on inspection? What is the impact of motivation programmes and different kinds of supervision? Differentiating ability: It often happens that while the experts prepare a hologram or other protection element, they try to estimate how the fake would look and if the guards would be able to differentiate between genuine and counterfeit. However, the testing shows that differentiating abilities of ordinary users are much lower than experts expect. The testing results also indicate that these abilities are distributed around the Gausse curve, from users with excellent skills through average to poor. The understanding the process of the perception of security elements is the key. What feature is noticed at the beginning? What will the eyes concentrate on after that? How fast? What phase is critical for spotting the difference. Such and other questions can be answered through testing using eye cameras. It is also important to include different lighting, the impact of noise etc. Impact of tiredness and stress: Testing results have already shown that the ability to identify some features goes down with user exhaustion while other features are mostly not impacted. It is also important to test different combinations of fatigue, stress and deterioration of the local environment. The best inspection methods: A key factor explored is whether success rates enhanced if the inspector follows detailed rules. As might be expected, testing shows dramatic improvement if guidelines are applied, such as “First concentrate on the big logo in the middle, then focus on the green frog on the left, tilt hologram, make sure that the frog changes color into golden and at the end check that the flower on down ribbon is luminously red“. Good instructions can mitigate the impact of tiredness it seems, as the inspector switches into the routine and the eyes follow a defined track. Optaglio recommends that each hologram should come with precise inspection instructions, even though we acknowledge that most of our own holograms do not have them – mainly for historical reasons). If they had them, it would help. Most frequent mistakes: Two kinds of mistakes can appear during machine-based reading. Refusing a genuine element and accepting a counterfeited element. For human inspection, the second mistake is critical because the first mistake would be detected immediately while once the attacker passes the check, it is usually impossible to undo the failing. During testing, each accepted document/product can be paired with a record from the eye-tracking camera and other information so that each mistake can be analysed. And even if we do not fully understand reasons for all errors, some critical factors can be identified. All testing must be organised in lines. If user analyses a single document protected with a guilloche and a hologram, he/she fully concentrates on it. Only after checking hundreds of same items, we can see realistic behaviour and statistical tendencies start to emerge, including the success rate and the impact of particular factors. A lesson from the first weeks of testing in Optaglio behaviour centre is that – although there are significant differences between people in their reactions and abilities to identify protection features – they can be divided into quite homogenous groups. We expect that after including non-European people into testing, both these tendencies will strengthen. We therefore advise our clients designing protection strategies based on this type of data to prioritise groups of users from critical (e.g. border enforcement staff in EU countries) through important to “nice-to-cover“ individuals. We cannot expect a perfect understanding of human factor soon. Nevertheless, it is essential to create feedback. We begin with an intuitive understanding of human behaviour. As the second step, this initial view is tested and used as an input for example in the design of a document. During the lifecycle of the document, further information about human reaction is gathered not only for future document protection strategies but also for immediate updating of inspection guidelines. The inspection may be fully automated one day, but for the time being, we need to take into account people – with all their strengths and weaknesses. Mentioning the human factor should not mean we ignore the problem. 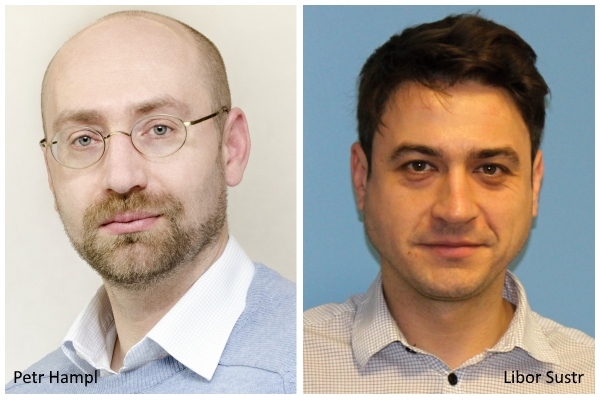 Peter Hampl is business consultant for Optaglo, and Libor Sustr is the company's technical manager.